Body clock the key to GF glory? 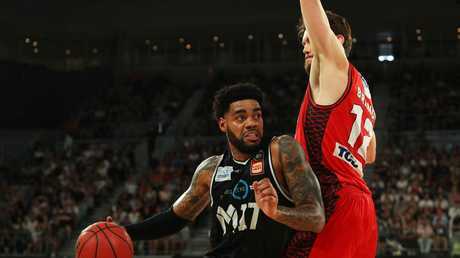 MELBOURNE United has dominated or broken even in six of the eight quarters played in the NBL grand final series against Perth Wildcats. 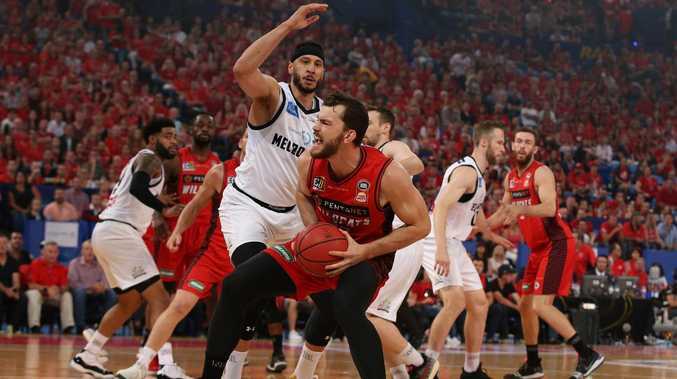 And yet the crunch best-of-five series is locked at 1-1 after the reigning champions United wasted a golden opportunity to steal victory in game one Perth last Friday. But Melbourne has uncovered the blueprint for their success, and it starts between the ears. United has struggled throughout the season to put teams away, often rising to the occasion late in games after wasting double digit leads. 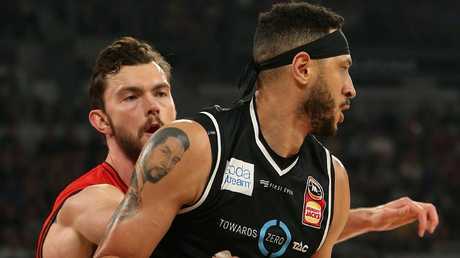 That changed last Sunday at Melbourne Arena when United burst out of the blocks at half-time to race to a 12-point lead, a margin it was able to hold and then build on to the finish. Apart from making the Wildcats look slow and tired, on the quick back-up from their win in Perth two nights earlier, the DJ Kennedy, Mitch McCarron and Chris Goulding-led statement should enough to make the Red Army nervous ahead of Friday night's crucial game three. As far as scoring goes, at speed and sheer weight of numbers, United is the competition benchmark. It starts at the defensive end, however, with Josh Boone, Alex Pledger, Kennedy and McCarron attacking the glass. "We had little patches here and there but for the most part that was one of the most complete games that we played," Boone said. "We've had some trouble this year playing with leads, playing with the double digit leads a lot of times we have let teams back in. We showed we're past that point now and showed that we can play with a lead and finish the way we know we're capable of." Boone and Pledger hold the key for United after running opposite numbers Angus Brandt and Nick Kay ragged in Melbourne last Sunday. Brandt and Kay had a major impact in game one, which allowed the Wildcats to spread the floor, get open shots and draw fouls. Boone said United will be better for the experience. "We didn't really play our best basketball," Boone said. "We played good in very minimal time frames, if anything it showed us we can still compete over there. "We can't let the crowd be a factor, we can't let them start getting to the free throw line and start getting offensive rebounds, I think those were the two things that really killed us last game and then also to compound it they started making shots. "Limiting their open looks and offensive rebounds is going to go a long way." The NBL confirmed the game five decider, if required, would be played in Perth on Sunday March 24 at 3pm. United has played down the impact time difference has had on the grand final series but the proof is in the numbers. 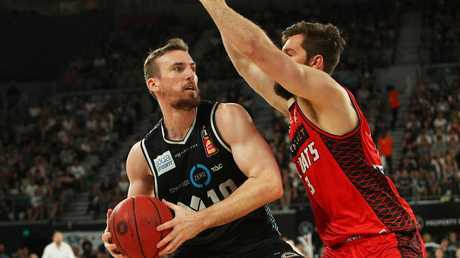 The Wildcats have dominated opposition teams in Perth after half-time, outscoring rivals by 79 points in the second half of the past four games. The margin balloons out to +165 points after half-time for the entire season. How United gets out of half-time will again be telling. United star DJ Kennedy is too big for Terrico White and too nimble for Nick Kay, making it hard for the Wildcats to limit the athletic wing's impact. His ability to pull down boards and create off the dribble has tormented the Wildcats in 10 of the past 12 quarters. The only blemish during game one when his promising start was derailed following a knock to the head. For the other big match-up (Casper Ware v Bryce Cotton) to impact the result of the game the bigs need to do their jobs well. Boone must win the battle of the boards and screen well for the smalls to go to work. Watch for Boone to get active early on the scoreboard.